If you plan to take a holiday this spring or summer, you may be interested in easy cat travel tips that will help you address your cat’s health and well-being while you’re on the road and out of the picture. Many people make the mistake of thinking that because cats are so seemingly self-sufficient, you don’t need to do much more than leave a large bowl of food and water out for them and they’ll be fine. But you know that cats require a bit more care than that, particularly in your absence. For instance; one of the top concerns for South Florida pet owners is our hot, tropical climate. What if the air conditioning died while you were gone? A cat should never be left inside of a hot house without A/C or access to fresh, cool air. Home Alone: It is never OK to leave your cat home alone while you are on vacation without someone to care for them. Making sure the house is cool and leaving extra food and water out is not the only answer. There are a countless number of things that can go wrong under this scenario – all of which will make for a very stress-filled vacation. Find a Reliable Sitter: While friends and family members can certainly be trustworthy, cat sitting isn’t their profession and chances are they won’t put as much effort into the care that you’d like. You should look for someone who considers this as a business opportunity and not someone who would consider it as a favor. Look for a professional sitter who can provide references and works for a company that is fully bonded and insured. Meet and Greet: Before you leave on vacation, have the sitter over so you can introduce them to your cats and see how everyone interacts. The visit also gives you a chance to familiarize the sitter with your house. Establish a Procedure: It is important to familiarize the sitter with your cats’ daily routine. Make sure the sitter is available to feed them at their normal times. This will help make sure your pets don’t experience too much separation anxiety. 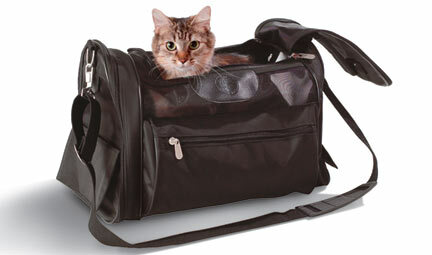 Take them along: Today there are a host of options for cat friendly airlines and hotels that make it easy to bring your pet along. Even though you have your pet with you, that doesn’t mean you’ll have ample free time to care for them. If you find pet-friendly accommodations, look into a professional pet sitting service that will come to your hotel while you’re away – this option ensures that your four legged friend not feel left out of all the fun. I’ve always been fortunate enough to have a nearby friend or family member who is also a devoted cat lover, so I’ve never been hesitant to leave my kitties in the hands of a non-professional cat sitter. Of course, if you don’t have that luxury, or none of your friends are cat people, a professional sitter is a great option. For those who simply aren’t comfortable having someone visit their home while they are away, talk to your trusted veterinarian about whether their office offers boarding services or if they have someone that they could recommend. Always exercise due diligence when choosing a boarding facility to ensure your cat will be comfortable and well-cared for; not stuck in some hot room in a tiny cage, surrounded by barking dogs.